I am a filmmaker and projection designer for live performance based in Denver, Colorado. I've been a multimedia specialist for theatrical productions since 2012, and I am currently pursuing a master’s through New York University’s Interactive Telecommunications Program. Phamaly Theatre Company produces musicals with a cast of entirely physically handicapped actors. For their 2017 production of Annie, I created a design combining forms of Art Deco, Constructivism, and the art of the Harlem Renaissance to create a contemporary look that still felt period-appropriate. 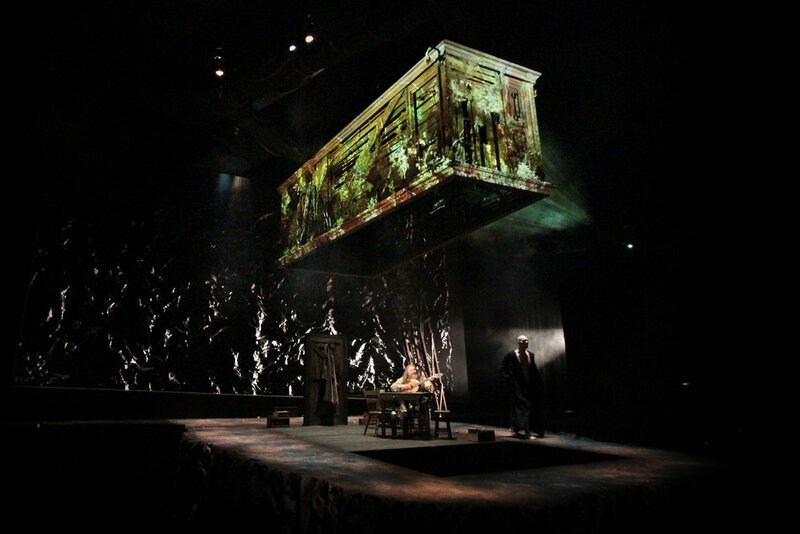 Techniques ranging from stop-motion meat animation to actually setting a model of the set on fire were used as content to help tell this contemporary adaptation of Mary Shelley's classic. 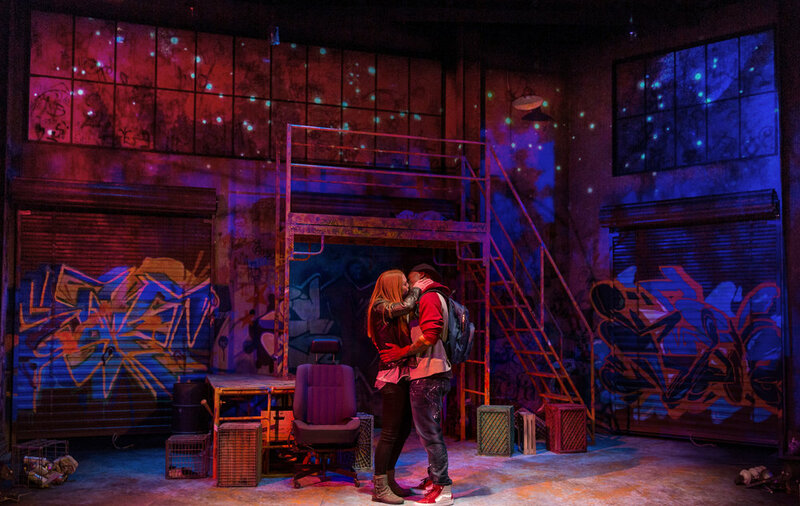 Marcus Gardley's powerful play about the African-American experience required projections to create the mystical world in which the piece is set. Two projectors behind a 40-foot wide curved screen were used for the projection design in All the Way. Content inspired by the work of 60's design legend Saul Bass was used to help establish context for the play. How can sound be portrayed visually? That was the task laid out in Nina Raine's script for Tribes, a play that explores cultural identity in the deaf community. This film is look at the benefits and drawbacks of human cooperation and the role of mass media in that conflict. A composite project drawn with ink on paper, scanned in and painted in ToonBoom Studio, and assembled with traveling mattes in After Effects. My undergraduate honors thesis for the CU Boulder film program. Sometimes simple works best. After creating a complex, time-consuming ad for the CU Boulder film festival, as an afterthought I created this ink-and-paper animation loop to be played in the lobby of the film studies building. While my commercial wasn't seen much, I heard people talking about this loop all throughout the building and around campus. My first work for the DCPA, this piece was projected onto two screens behind drag performers for the opening number of the show Drag Machine. Our spaceship takes off, then guides us through "Gay Space" to various iconic moments in the LGBT rights movement. An installment asking participants to interact in a simple way, with surprising results. An escape room-style installation combining elements of physical computing with an Arduino, programming in Java and traditional animation. In the winter of 2010, the homeless community in Boulder staged a protest at city council, causing them to issue a moratorium of a controversial anti-camping ordinance.